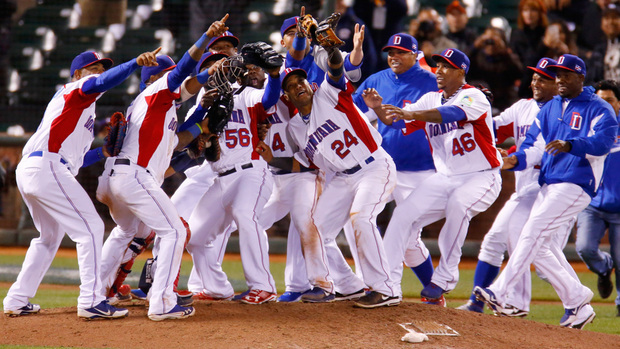 The World Baseball Classic finished up this week after what seems like about two months of preliminary games. The coverage was spotty at best, so it was relatively difficult to follow what was happening. For us in North America it was like the divisions that played over seas never happened. In particular that meant there was very little exposure to the better teams from the East, like Japan, Korea and Chinese Taipei. Canada’s team did about as well as expected. These games are ultimately all about pitching and Canada just doesn’t seem to grow a lot of big league calibre pitchers. Most teams were stuck with using a lot of young minor league pitchers, but even at that level Canada’s talent pool is pretty thin. The biggest surpise (for me) was how well the Italian and Netherlands teams did. As far as I can figure, there were just six players on the Netherlands team signed by an MLB team, and just twelve on the Italian team. Compare that to twenty-four on Canada and twenty-nine on both the USA and Dominican teams. Where are these Europeans playing? The Blue Jays in the tournament acquitted themselves well. Dickey, Arencebia, Reyes, Encarnacion, Loewen, Nanita and others all made significant contributions. Of the nine BJs in the tourney, four of them played for the winning Dominicans. It’s too bad there can’t be a more meaningful showdown of world baseball powers – like the World Cup in Soccer for example. But the packed MLB schedule, and potentially devestating consequences of injury seem to make it almost impossible. On a side note, Major League Baseball continues to try to shove MLB TV down the throats of the faithful, but I’ll be surprised if it isn’t a bust within a couple of years.